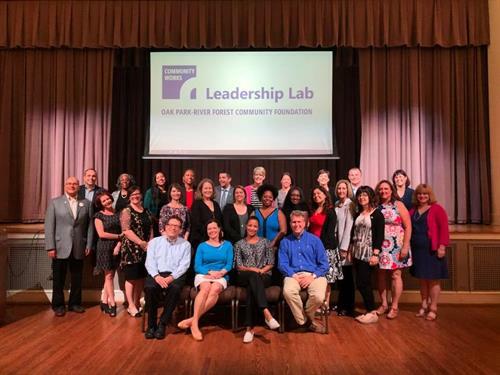 OPRF Community Foundation | Community Organizations | Downtown Oak Park | Nonprofits | Chamber Members - Oak Park-River Forest Chamber of Commerce, IL ? The Oak Park-River Forest Community Foundation inspires philanthropy and stewards the community toward sustainability and well-being.There are many ways to get involved with the Oak Park-River Forest Community Foundation: volunteer to help us with projects, be on one of our committees, or perhaps join our Board. Establish a fund with us to serve your charitable interests, or encourage others to become donors. Explore the benefits of an endowment fund for nonprofits serving local residents. Get to know our Future Philanthropists Program or Community Leadership Program. Learn about Women Leaders in Philanthropy or join our Business or Emerging Leaders Groups. When you decide to support non-profit organizations in your community, the Oak Park-River Forest Community Foundation offers substantial value to you as well as to the recipients of your generosity. Using the Oak Park-River Forest Community Foundation is a simple, flexible, and cost-effective way to accomplish many charitable goals.You can make a single gift to benefit multiple charities. 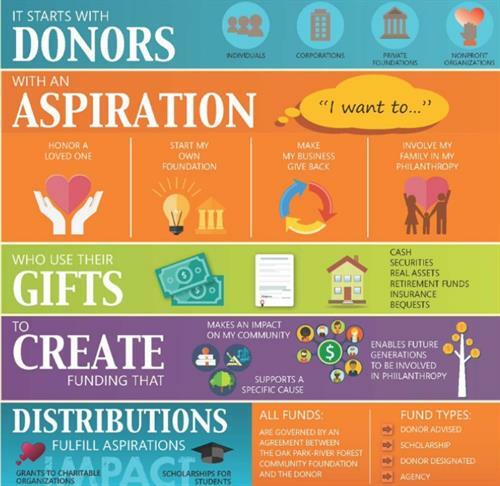 We accept a wide variety of assets, and can facilitate even the most complex forms of giving. You gain the advantage of tax benefits when making gifts with appreciated assets rather than cash. Donors can minimize income, estate, and capital gains taxes and thus benefit their favorite charity(s) instead of the IRS. We offer maximum tax advantage for most gifts under federal law. Located in the heart of Downtown Oak Park. On Lake Street above the Book Table, just east of Marion.